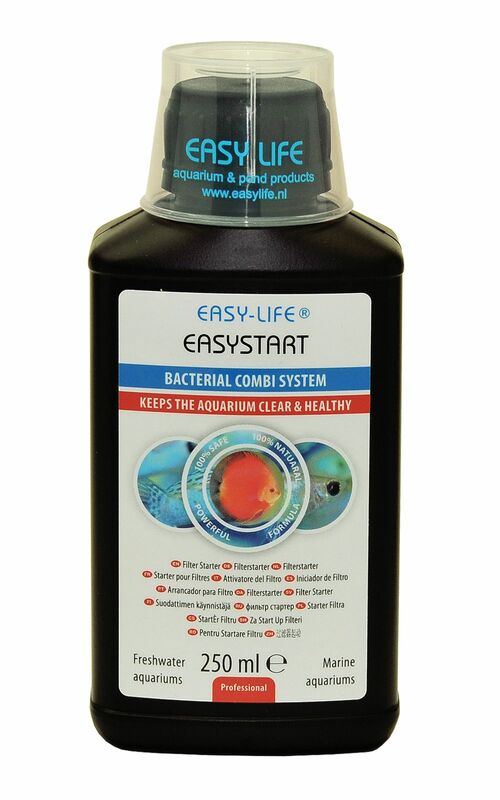 EasyStart is a filter starter. Its objective is to quickly purify and stabilize the water when cycling a new freshwater or marine aquarium, so that it is suitable for fish. The cloudiness of the water will disappear after a couple of hours. After opening, store in a cool, dark place..
After day 14 you can use Easy-Life fluid filter medium for regular maintanance.